Happy Sunday, Readers! I hope you’ve been taking part in the wonderful events of Homecoming this weekend, but if you haven’t, I’m here to tell you all about them! As for events, there were a lot of alumni events, but there were also events for students. On Friday, there were departmental reunions, as well as Sorority reunions, and an event called Homecoming on 8th Street, where alumni and students could go to the Knickerbocker Theatre and visit the shops downtown. The students also enjoyed the Homecoming Hoedown on Friday night which is put on by the Student Activities Committee and is a great event full of dancing, food, and a petting barn, complete with the cutest bunnies! Saturday kicked off with the Homecoming 5K run for alumni in the morning, and more reunions for sororities, fraternities, and residence halls. At noon, everyone on campus had the opportunity to go to the Dow to sample the Taste of the South lunch Hope put on. Then at 6 p.m., there was the Homecoming football game to round out the night. Sunday was the day I enjoyed the most throughout the weekend. I am a Student Ambassador, and the groups main goal is to bridge the gap between students and alumni, making the transition smooth. Our task for the day was to go to the Dimnent Heritage Society Brunch at the Haworth Hotel and converse with special donors to Hope who have given significantly in some way to Hope. It was so fun to have conversations with people who love Hope so much and to see how Hope has changed throughout the years through their stories. It was a wonderful weekend, and I hope you got to enjoy some of the events! Enjoy this week, readers! Until next time! 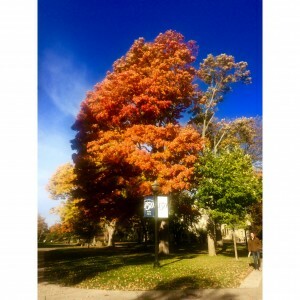 Sesquicentennial AND Fall colors = winner winner chicken dinner! 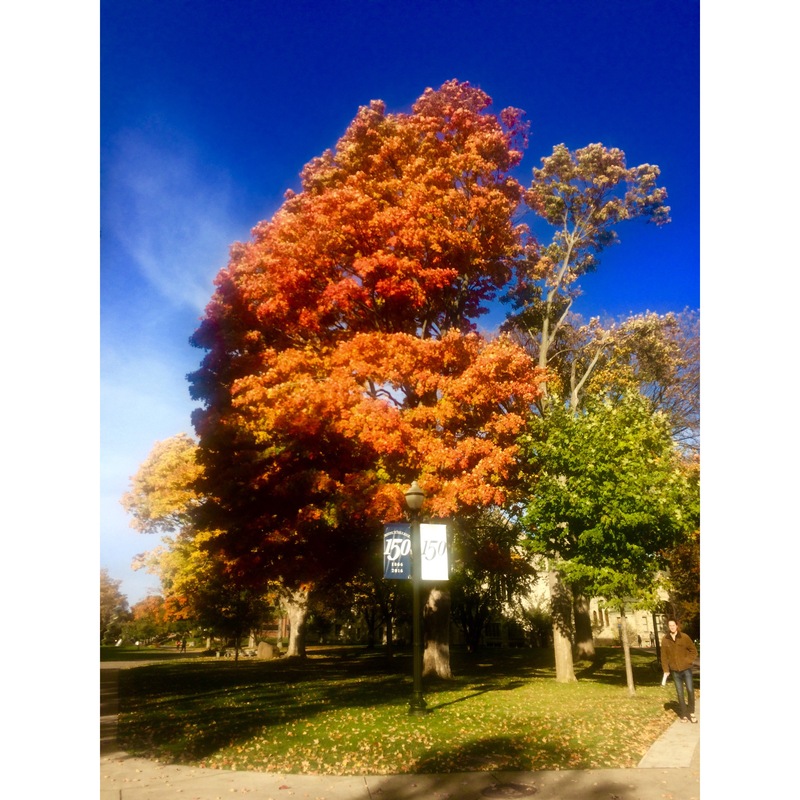 Posted on October 25, 2015 October 27, 2015 Author Mikaila BissonCategories Campus LifeTags fall, Homecoming, HopeHomecomingLeave a comment on Homecoming Weekend!